Are you addicted to your phone? Take some time off and read this. Did you know that excessive use of your mobile phone can affect your mental health? Americans spend an average of five hours per day on their smartphones. Some of that time is spent on social media, some on helpful apps, some on games, and some on streaming. Five hours is quite a bit of time to be spending on your phone, and for many people, it is much more than that. It is true that what you allow in your environment affects how you think, feel, and react to the world around you. Therefore, it only makes sense that your mental health will be affected. Your brain is actually affected and changed when you spend vast amounts of time on mobile devices. A neurotransmitter called GABA is produced when people who are addicted to their phones are without them. This can cause anxiety, depression, irritability, and insomnia. These feelings are often not relieved without accessing the mobile device to satisfy the brain’s addition. Research has also found that extensive phone use, particularly by multi-taskers, leads to decreased gray matter, which is responsible for your ability to focus attention for an extended period. It can lead to disordered thoughts which, in people with other mental health conditions, can lead to other symptoms. Excessive phone use also affects your mood. Studies have found that people who use their smartphones for many hours each day are more prone to depression, anxiety, insomnia, and a lack of focus. 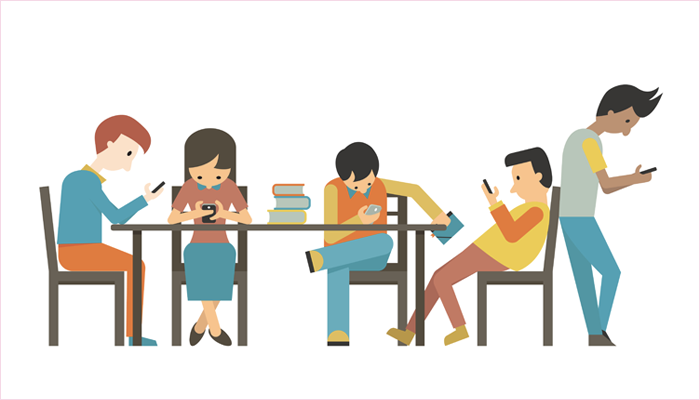 As per a researched report, when phone use turns into an addiction, the behavior of the user becomes stressful. People who become addicted to their smartphones would keep checking it and will feel anxious when this isn't possible, which can result in depression. Generalized anxiety disorder (GAD): An inability to control worry is GAD and someone who is affected by the same will have issues in their family, work, and maintaining the financial status. Social anxiety: It’s felt when someone is worried about how others will perceive him and will fear negative judgment. If you are already prone to these problems or have mental health disorders, excessive phone use can trigger an episode or symptoms. In such cases, medication therapy alone will not be sufficient, because the phone use is counteracting the other measures being taken. We have to accept this fact that we are addicted to our smartphones. From checking out the first message of the day to the late night social media apps scrolling, we do it all. The increase in smartphone phone usage can sometimes go unnoticed. 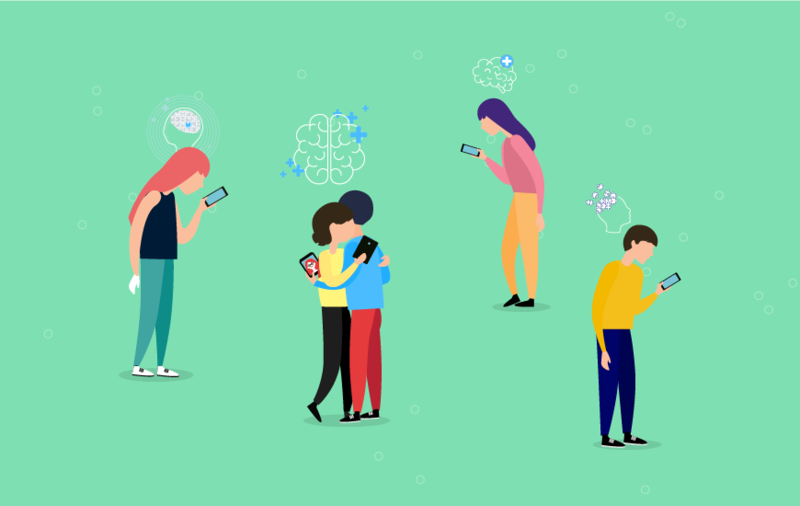 Here are some of the symptoms that will help you to check whether smartphone addiction is taking a toll on you or not. Take a look. These all signs can well indicate your over inclination towards the phone and trust us, you need to get rid of them ASAP. Luckily, there is help for people who suffer from these conditions caused by excessive phone use. Cognitive behavioral therapy has been found to be very effective in treating mobile phone addiction. Through cognitive behavioral therapy, you can recognize the bad habits that are contributing to your mental illness and learn methods to break those habits and build new, healthier ones. Cognitive behavioral therapy takes some time, the duration of the therapy depending on the individual. Many sessions are usually required. If you are uncomfortable seeing a therapist in person, find it inconvenient, or don’t have providers in your area, online counseling services such as BetterHelp can provide you with the support you need. Keep your phone away from you at home. If you are unsure if your smartphone use constitutes an addiction, you can get more information about smartphone and internet dependence on BetterHelp. They can provide you with advice on what the symptoms are of smartphone addiction and help you learn ways to overcome it. Any habit can be replaced with a healthier one if you have support, understanding, and determination to change your life for the better. Also, there are many meditation apps that can help you to relieve stress through various means.